Discover one of the city’s best kept secrets, boasting more than six miles of retail and restaurants 20 feet beneath the skyscrapers in the Downtown Houston Tunnel System. Currently linking a full 95 city blocks in the western half of Downtown, the Houston Tunnel System is a network of underground, climate-controlled, pedestrian walkways that links 80 office towers to hotels, banks, corporate and government offices, restaurants, retail stores, and the Houston Theater District. 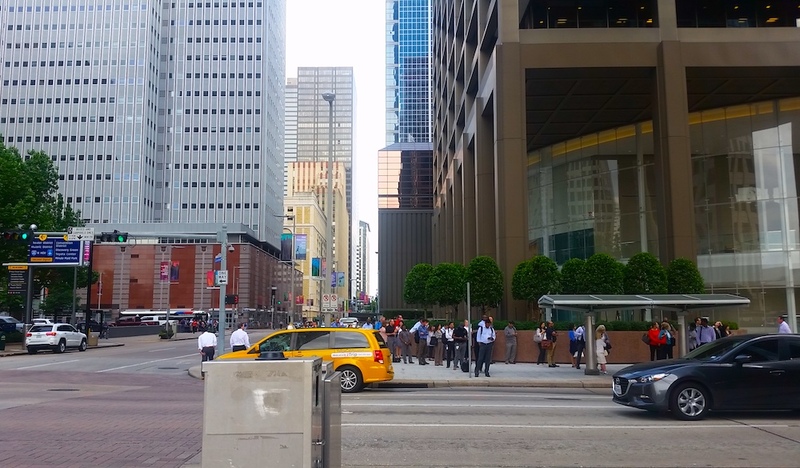 Though the Tunnels are considered to be a hidden gem, most of the city’s Downtown workforce and tourists use it throughout the week for the network’s convenience and easy sanctuary from Houston’s rainy days or heatwaves. If you’re worried about getting lost, don’t fret. No matter your entry point, there are plenty of color-coded maps and wayfinding tools throughout the entirety of the Tunnels to help you navigate your subterranean journey. Click here for a complete map of the Houston Tunnel System access points. 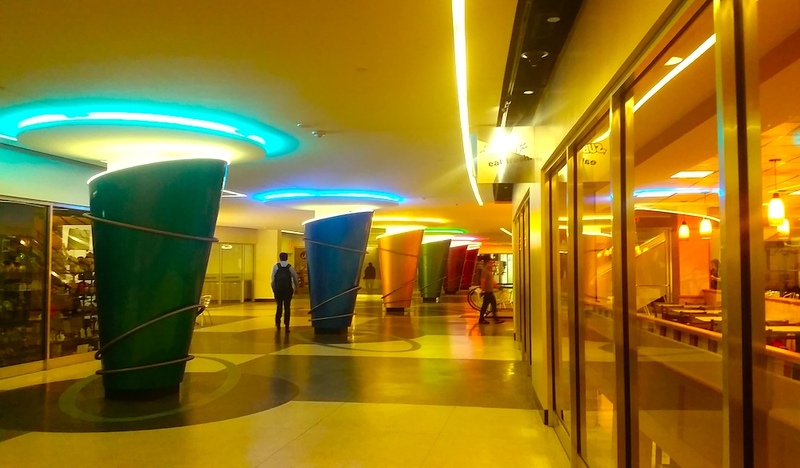 Similar to a major shopping mall, visitors will find portions of the tunnel filled with food courts, beauty salons, barber shops, drug stores, copy centers, dry cleaners, and even doctor or dentist offices. Unlike a shopping mall, you’ll notice the overall look and feel of this underground world is more akin to a fluorescent airport terminal as you wander by gift shops, newsstands, chain restaurants, flower shops, and plenty other specialty shops. Entertainment seekers can also take this path less traveled to the Sundance Cinemas at Bayou Place, Revention Center, the Shops at Houston Center, and the Theater District’s performance halls. Click here for a complete list of shops and services in the Tunnels. The Tunnels are open during regular business hours, Monday through Friday from 6am to 6:30pm. It is closed at night, on weekends, and national holidays. Those looking for street access should take note that only Wells Fargo Plaza and the McKinney garage on Main offer direct access to the Tunnel. Other entry can be gained on street-level stairs, escalators, and elevators inside buildings connected to the Tunnels. Access to these buildings is allowed to the general public with few restrictions, during normal operating hours. It’s also worth mentioning that the Tunnels have been criticized for its numerous stairways, especially in the northern portion, which makes wheelchair use traffic impassable in some locations. Originally conceived as an underground connection between two Downtown movie theaters, the original tunnel was built in the 1930s by Ross Sterling, also notable as the 31st governor of Texas. 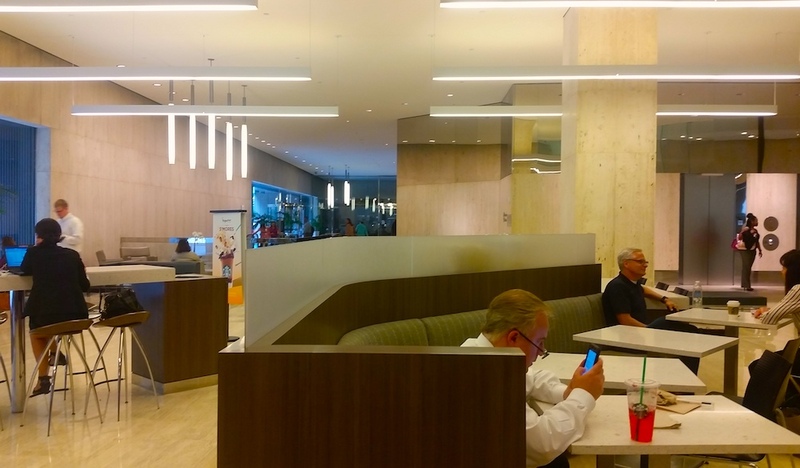 According to Sandra Lord, owner of Discover Houston Tours and explore or Houston’s underground, Sterling was inspired by the tunnel system in New York City’s Rockefeller Plaza. Soon after, Will Horwitz, an entertainment entrepreneur, connected three of his vaudeville and movie theaters to save on air-conditioning. 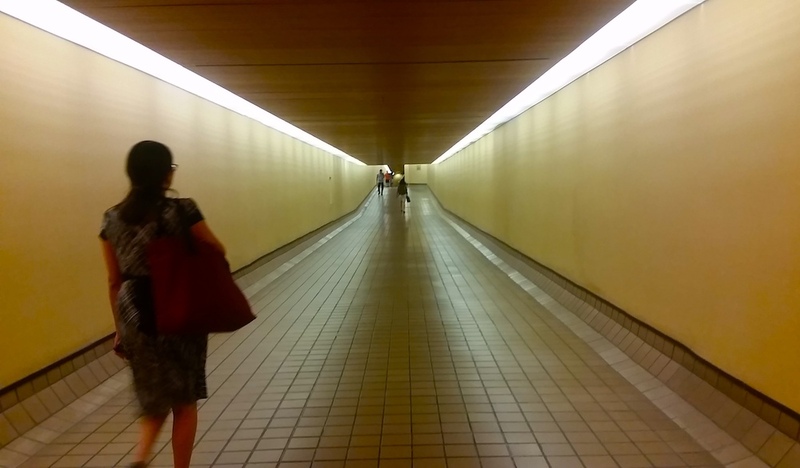 Starting in the 1950s and throughout the construction boom of the 1960s and ’70s, more and more buildings that underwent construction followed suit in fleshing out the connected tunnels we see today. Construction still continues as of present day, with additional buildings and tunnels in the planning stages. Location: Click here for a complete map of the Houston Tunnel System access points. Parking: Metered street parking and paid lot or garage parking is available in the surrounding areas Monday to Friday. Click here for a complete map of the Houston Tunnel System access points.